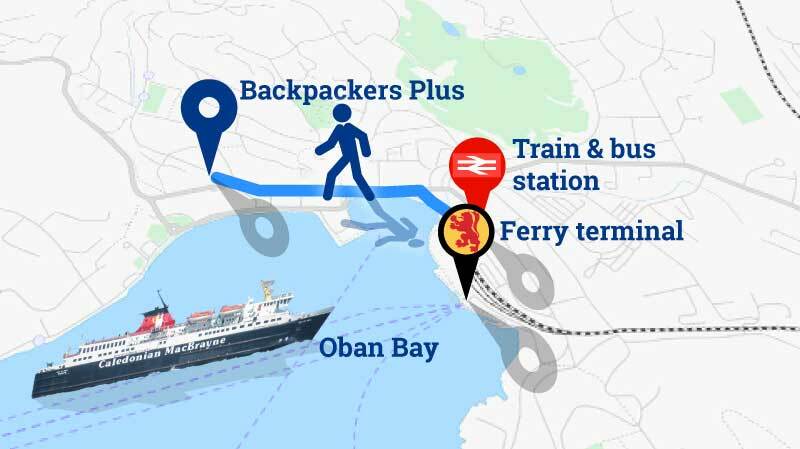 Check availability and book accommodation at Oban's Backpackers Plus below. Book direct through our website to guarantee the best price. 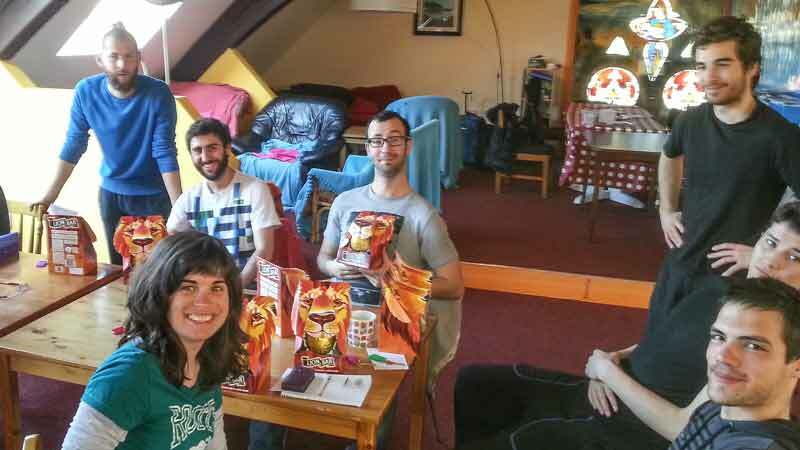 We love groups! Nothing’s more fun than a few nights away with your friends, classmates or loved ones. 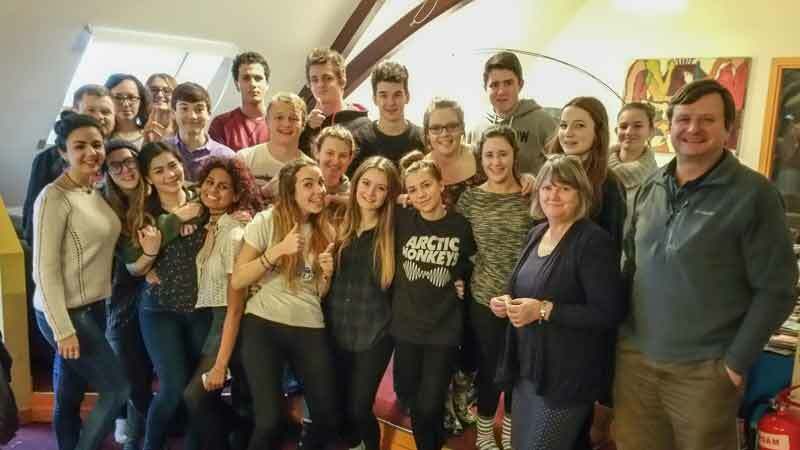 Whatever the reason for your gathering, and however large or small your group, we strive to give you the best group accommodation at the best price - with the biggest welcome! 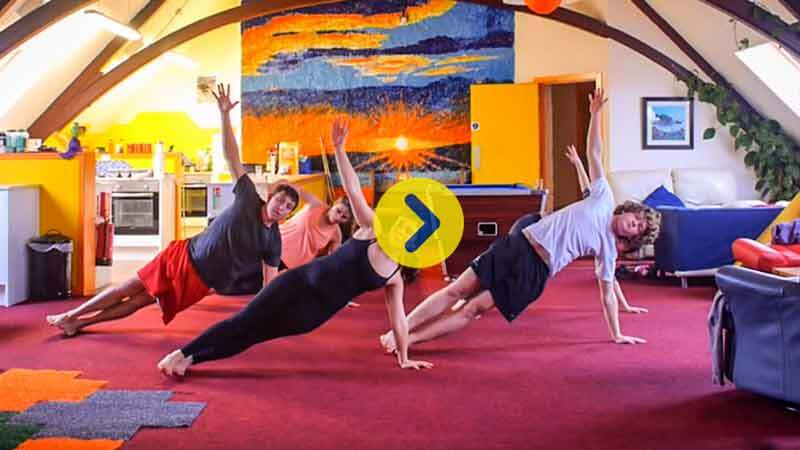 Backpackers Plus in the Old Church was purpose-built with groups in mind. Our spacious dorms (ranging in size from 4-bed to 12-bed) allow you the flexibility to keep everyone together and only pay for what you need to use. 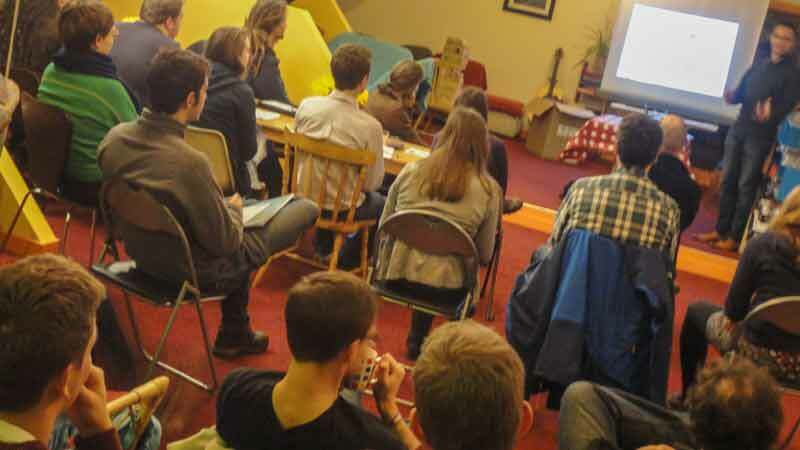 The option to book the hostel for sole occupancy is available all year round, and with the capacity to sleep up to 48 people we can cater for even the biggest sports teams, school groups, family/friends’ escapes… you name it! Our fabulous Sky Room is the jewel in the crown - a fabulous open area great for business meetings and conferences, socialising, cooking and eating - all the space you’ll ever need for your group get-together. To arrange your group booking, whole-hostel booking or conference/meeting, simply complete the Group Bookings Enquiry form below to get in touch with us. *Name: *Email Address: *Your arrival date: *How long do you plan to stay: *How many in your group: Age range of your group if under 18: What kind of group are you? On the top floor of our accommodation is the jewel in the crown; an enormous open plan area under the original exposed beams of the pitched roof, with views across the sea to the islands and mountains beyond. This is our world-famous Sky Room! 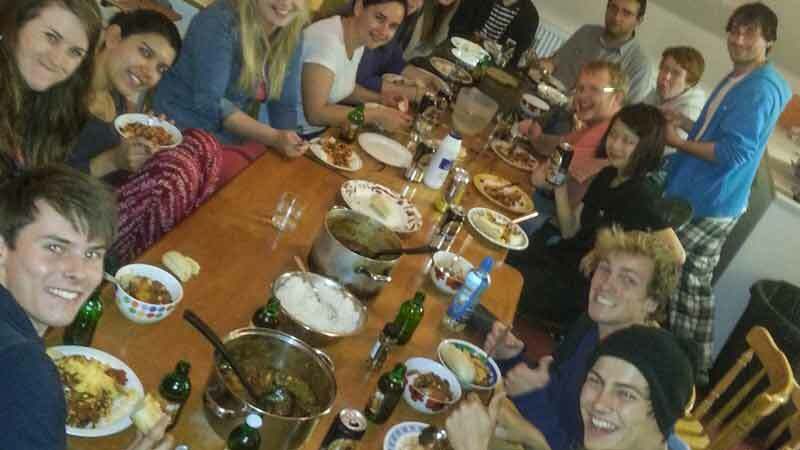 With possibly the best kitchen you’re likely to see in a hostel, we’ve got the space and equipment for groups of 30+ to self-cater and sit down to eat all together. Yes, really. All the fridge space, hobs, ovens, pots, pans, knives, forks, spoons, plates, glasses, tables and chairs required for your whole group to prepare a meal and share it as a group. The Sky Room (when not being used for grand banquets) is a great area for socialising with all the space you’ll ever need for your group get-together. There are sofas and comfy chairs galore, a stage, powerpoints everywhere. Plus help-yourself 24/7 tea, coffee and hot chocolate, a pool table, board games, a book/DVD exchange and powerful free WiFi. The Sky Room is open 24/7 to guests. The Sky Room is available for hire (without accommodation) for meetings and conferences. There are plenty of chairs/tables and floor space to suit your event, a stage area, plenty of power sockets and powerful free WiFi plus facilities for making hot drinks/preparing a buffet lunch.